What a wonderful summer it has been, the cherry season seems to have gone on forever, and the blackberries are showing promise but aren’t yet ripened. The gardens have been stunning, the weather has brightened not just the gardens, everyone is happy and smiling. 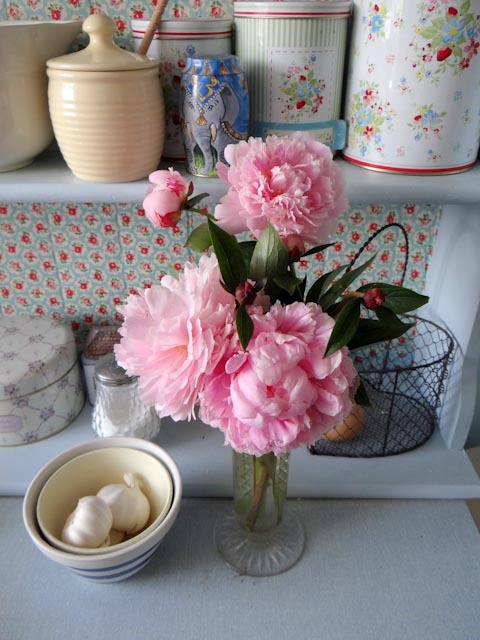 There is nothing more pleasurable than having vases of flowers indoors that are home grown. These peonies were lovely back in May, we have clumps of them in many different beds. 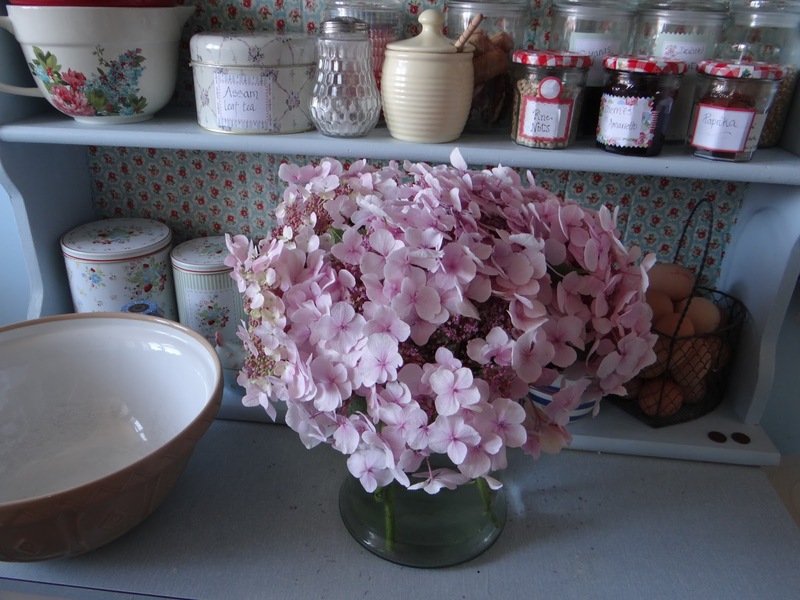 We had some wet days, so I rescued these from the ground their heads were so full of water – they brightened up the kitchen for a good ten days. 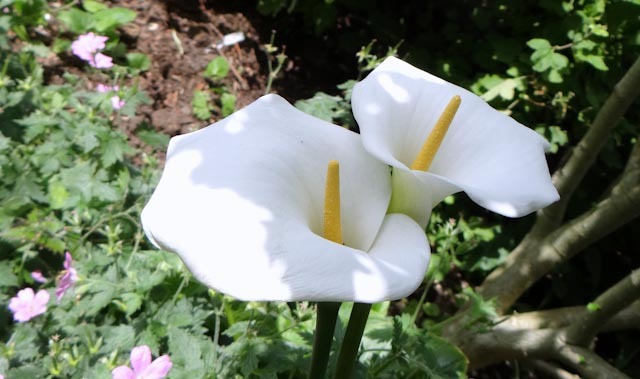 Peace lilies are so stunning, the flowers are huge – I think they are my favourite lily. 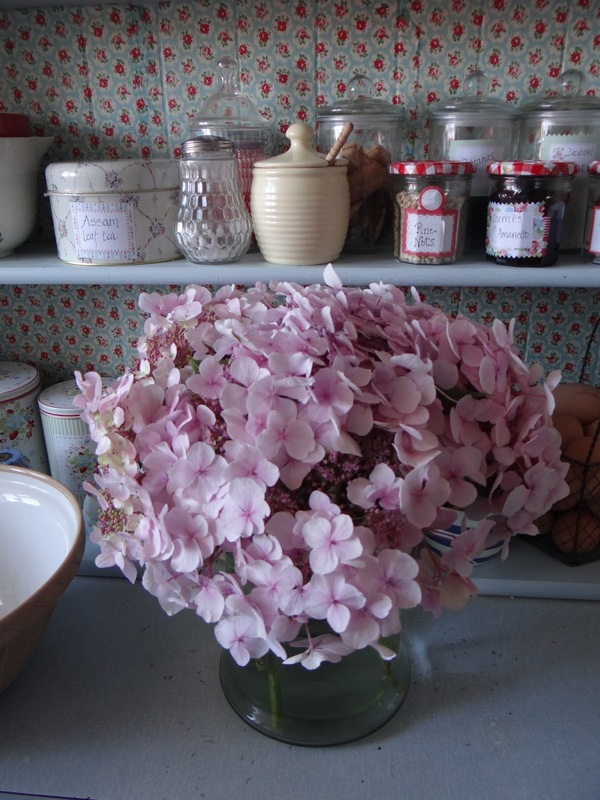 We have several clumps but the blooms this year seem to have been extraordinary – the gardener kindly gave me a few enjoy. I am planning to do a drawing study, but time runs away with me. The poppies were also abundant, we have a huge bed out the front which was alive with the lovely pink flowers dancing in the breeze. They have seeded all over the gardens and I spotted them in at least six places, must be the birds! 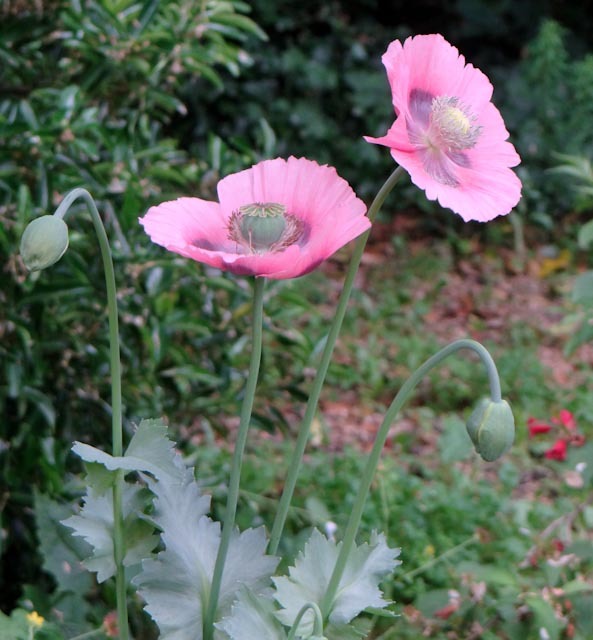 These are the more traditional poppies I could not resist taking a picture. 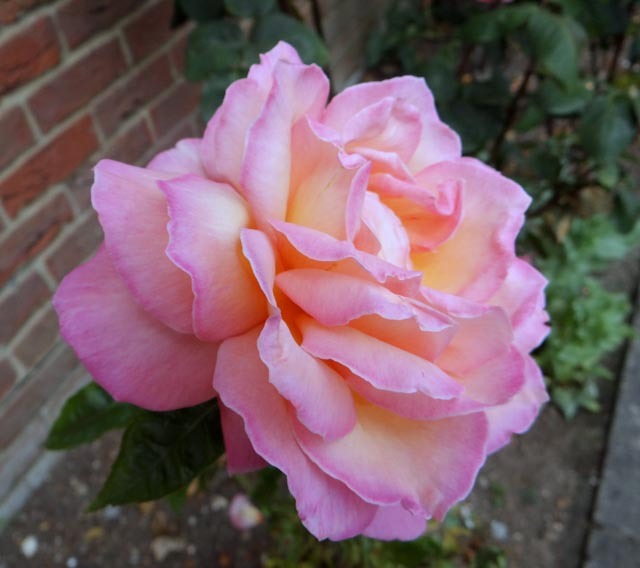 The roses were also stunning in June, this one has the most delightful sent. It is amazing just how much nature puts on a display every year, creating such beauty that was hidden under the frost and snow. The thing I most enjoy about the gardens is that as one flower fades another takes its place. In August the hyacinths are all in flower, they make the most magnificent bouquets they are such huge flower heads this vase has only four blooms! Ours all seem to be pink, I think it depends on the soil. As the summer is drawing to a close, it won’t be long before the trees change colour – my favourite time of the year. I used to think gardening was boring when I was younger, but now I find I love the ever changing beds. 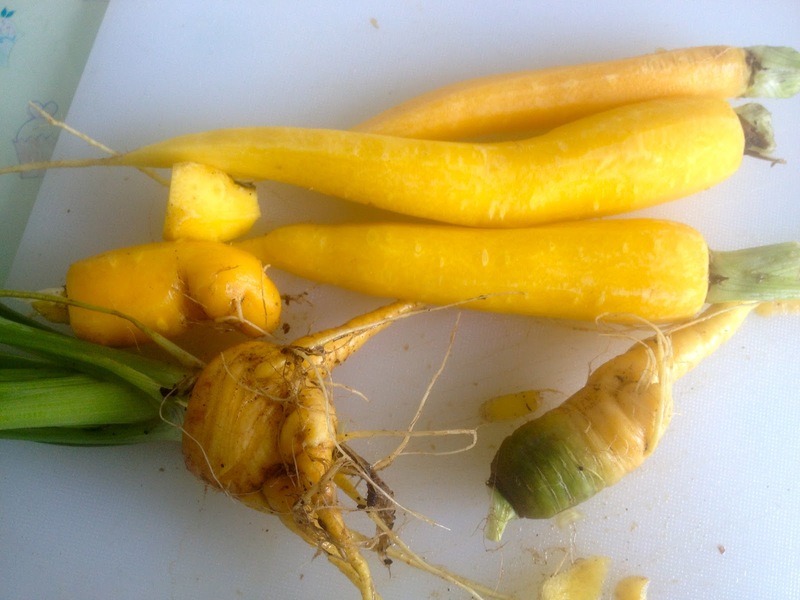 I thought I would try some different varieties of carrots on my little allotment. I got these seeds from an on line catalogue they were a mixed variety some were purple others were yellow. They have grown up beautifully, and these taste divine! I think carrots in the shops are pretty tasteless unless you buy organic, but by far are the ones you can pull up yourself, wash off and eat! Carrots are very simple I found the hardest part is the thinning out, it seems so cruel to pull out the tiny seedlings, but unless you do the carrots don’t have room to grow. The other great thing about carrots is that you can plant all year round, summer and winter. The front garden gets full sun and very little rain so I planted a lavender hedge all along the front which has thrived. The problem comes is what to do with it all? It seems such a shame to let it go to waste. 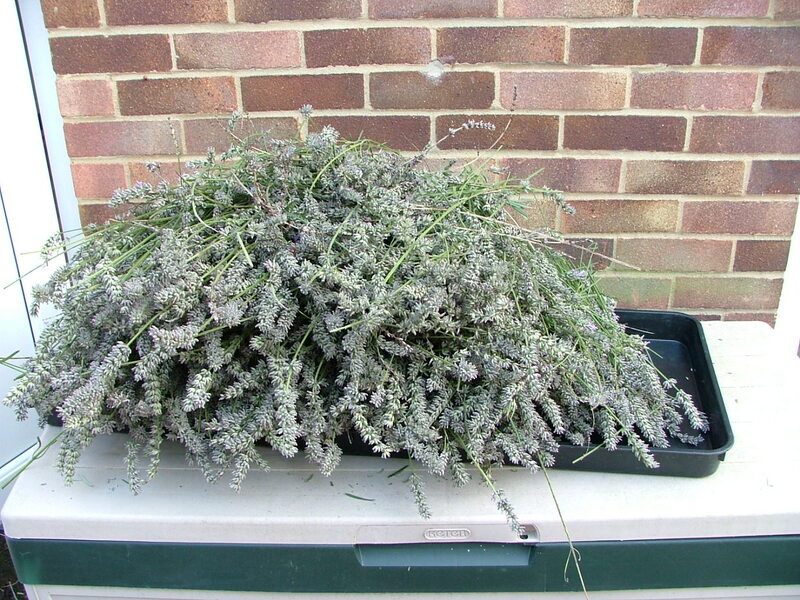 I wait until the bees have had their fill and then bring it in to dry for a while. Then I remembered I had some pretty organza left over from when I made some nets. I also adore my little baby lock overlocker, it makes it so easy to make these pretty little bags. My friend Jo taught me how to make the lavender bottles. 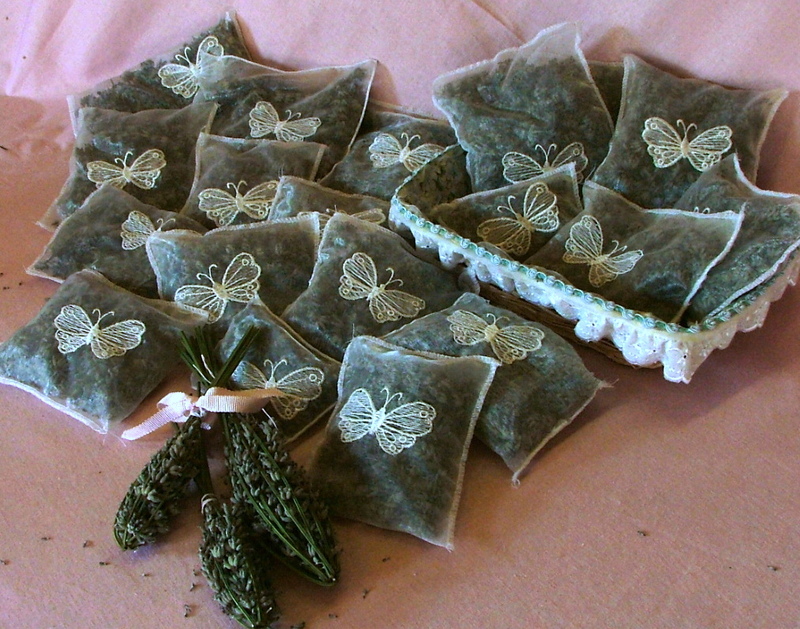 Lavender is good for us in so many ways, not only is it a calming herb, but an anti-septic too. These little bags are great to keep in drawers or the wardrobe as they keep clothes smelling fresh and ensures the moths don’t take up residence in my favourite dress!